If you are planning to retire, then your business needs to be prepared for sale. There comes a time when many business owners want to retire, a proportion of them will sell up and achieve a return on investment for all their hard work, while too many miss that opportunity and wind down and cease trading. It really pays to plan your departure and put in place measures to make your business saleable. In times gone by many small and medium-sized business owners have passed their business on to family members; this option is not as popular as it used to be, as it is less acceptable to pass a business to the eldest (often male) child and because family members are not interested or capable of taking it on. The next best option is for owners to sell the business and extract some value from all their hard work. Recent research by Experian Corpfin suggests some 80,000 UK business owners aged over 60 simply stop trading each year rather than selling. This has to be a missed opportunity! Not every business is saleable but planning ahead and putting in place an exit plan will give owners a fighting chance. Buyers are looking to purchase future cash flow and profit; to deliver that opportunity vendors need to put in place an exit plan that is attractive and delivers ongoing growth. This is not a quick fix and it is never too early to start your retirement plan as it will more than likely take several years to put in place! One of the key components of the plan is having a management team in place that can continue running the business once the owners have exited. Too many entrepreneurs are integral to their businesses, which means that when they step away, so does the value of the business. The next component is showing profitable growth at EBITDA (earnings before interest, tax, depreciation and amortisation) level. Many buyers still value businesses by applying a multiple of between 3 and 10 by EBITDA. Therefore, it is important to have finance policies in place that deliver as high an EBITDA as possible over a sustained period of more than 1 year. Hiring a part-time finance director to help you get your finances in order, can reap real dividends at this stage. Ensuring there are no obstacles that may hinder the sale should not be left to the last minute. Vendors will need to make sure all leases and legal requirements are in order to allow new owners to make a quick change if they want to. All legal disputes need to be settled, customer and supplier agreements up to date and all shareholders supportive of the sale, to avoid difficulties in the due diligence process prior to the sale. Continuing to grow the business is critical so owners must keep their focus until they exit; declining businesses are not attractive and will sell at a discount, if at all. It is also necessary to maintain momentum and assemble a strong team comprising: a broker to market your business and find appropriate buyers, an accountant to ensure the numbers are correct and give you taxation advice and a good commercial lawyer to look after your interests. Make sure you don’t miss out and plan for a life after the sale. 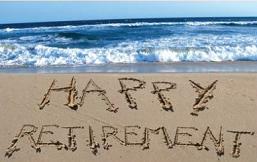 Good taxation and investment advice are essential, to enable the lifestyle you want and to ensure a happy retirement.